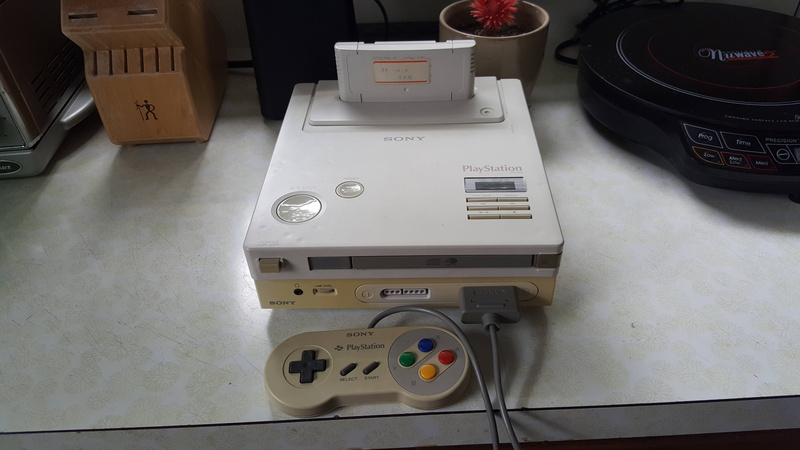 Before Sony entered the home console arena it worked with Nintendo on a CD-ROM drive for the SNES. The aim was to eventually release a combined console - called the PlayStation - which would play SNES carts and SNES CD-ROM games. Of course, this never came to pass - at the 1991 CES Sony officially announced the system, only to discover that at the same event Nintendo confirmed that it was working with rival Philips instead. It was one of the most infamous double-crosses in video game history, but Sony would have its revenge by creating the stand-alone PlayStation system, a best-selling console which would end Nintendo's dominance of the industry and establish the brand for years to come. 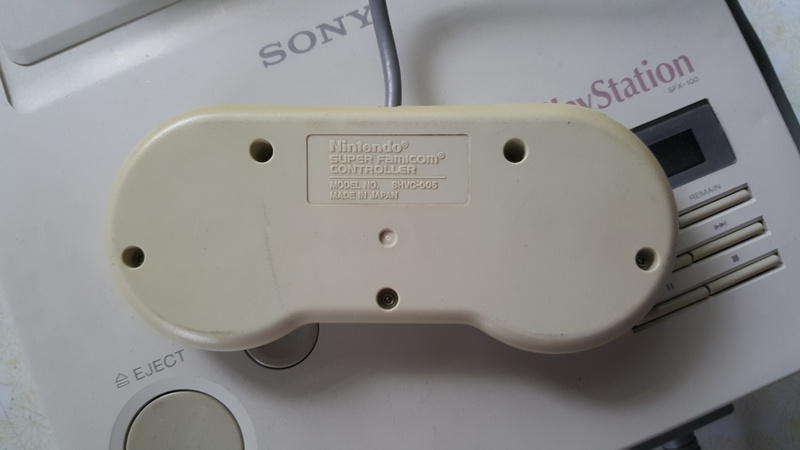 Images of the SNES PlayStation have been around for years, but it was thought that no consoles actually existed in the wild. 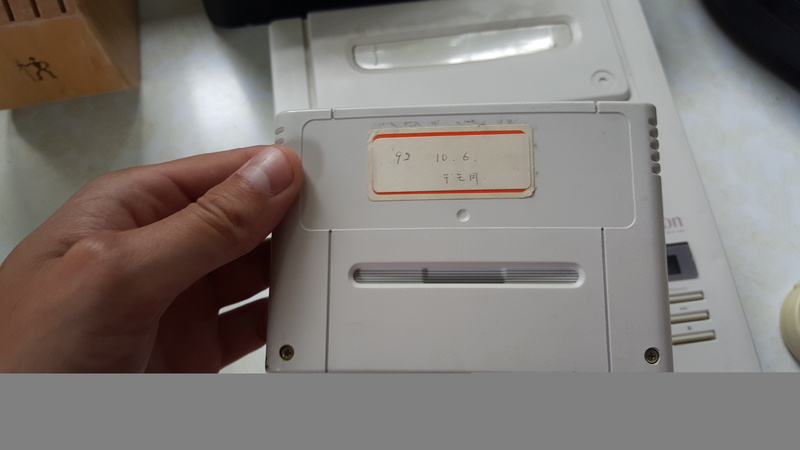 That has been proven incorrect today, as someone has posted images of a prototype machine - complete with trademark SNES yellowing on the lower part of the casing. My dad worked for a company, apparently one of the guys he used to work with, I think his name was Olaf, used to work at Nintendo and when my dads company went bankrupt, my dad found it in a box of "junk" he was supposed to throw out. The "Olaf" he is talking about could be Olaf Olafsson, who was president and chief executive officer of Sony Interactive Entertainment, Inc. at the time of the PlayStation. He was intimately involved with the Nintendo deal and the final PlayStation console which would launch in 1994. It is not known if the unit can actually power up, or what is contained on the cart and CD which come with it. You can read more about the development of the PlayStation on our sister site, Push Square. Update: The finder has posted a video showing off the console. He hasn't powered it up yet, though. Be warned: this video contains some bad language. So...... It Wasnt a Magical Talking Snowman who gave it to the posters father. Plug in a matching AC adapter and find out! Olaf Olafsson has to be one of the greatest names to grace this world of ours. Nintendo would've been in a much better position if this went ahead, at least their mistake allowed the creation of the classic Zelda CDi games and Hotel Mario! @grumblevolcano yeah, those were the most epic Mario/Zelda games of all time! Holy crap! That's incredible! I didn't know they'd actually made a prototype that far along. That's the best alternate gaming history scenario right there. Biggest mistake of Nintendo's gaming career was backstabbing Sony like that. Bwcause of that Sony went on to become one of Nintendo's biggest competitors (as much as Nintendo may insist they're not). This was Nintendo's biggest mistake... if only they went through with this. They would have been the biggest name in gaming today!! But we all know the position Nintendo is in today, being every gamer's 3rd choice. Somebody actually named their kid Olaf Olafsson. ... the Prophecy... it's happening! Olaf unleashes hot fury! @MitchVogel It's Icelandic. They have patronymic surnames. It literally means his father's name was Olaf. I bet it is fake. Traditionally, that was the case, and it would get extremely confusing in some cases, for example a son might be called Svein Jensson while the father would be Jens Sveinsson. @ZenTurtle I really hope you're joking. @ZenTurtle They haven't stopped. It's still normal in Iceland. If this is indeed real, it's a hell of a find and asks a lot of "what if" questions. I really hope for once this is genuine as this could be a rare piece of gaming history. Oh, sorry. Well, the point still stands about it being confusing. Totally rad! I'd love to see if it works. @MightyKrypto - So you believe that the tens of millions of console owners 3rd choice of a gaming system is a Nintendo system? That's an impressive assumption to make. If only the rest of us were blessed with such an insight. Now I must go, as I've seemed to have mislaid my PS4 & XBone. 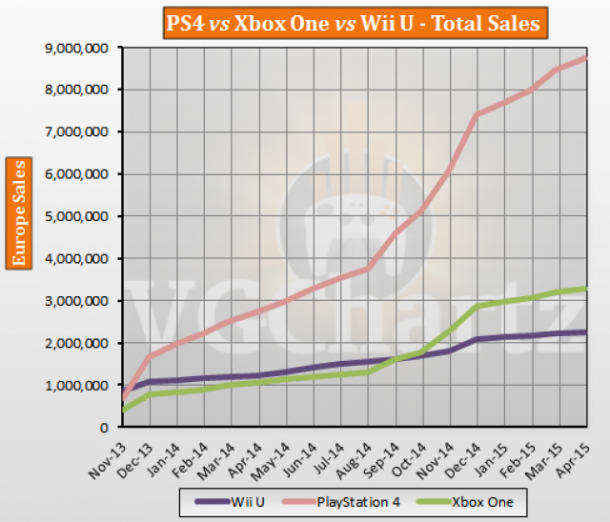 @CTs_Lieutenant Since PS4 as well as X1 both outsold the WiiU with ease, i think it's save to make that 'assumption'. You seem to forget that PC gaming is a thing. @nacho_chicken Well, i left out PC gaming since we're talking about gaming consoles here. That would make nintendo people's 4th choice. But fair enough, you seem to prefer Nintendo over the rest. To each it's own, i guess. But we all know more people have a PS4/X1, mostly in combination with a PC, in their living room than a WiiU, making it indeed people's 3rd/4th choice. @MightyKrypto not at all in fact it's incorrect...... The gamers who bought ps4 buy the wii u as their second console if they even buy a second console and same for those who bought xbox one..... Nobody in their right mind buy a ps4 then an xbox one to play basically the same games and then get a Wii u third in fact nintendo are most gamers second choice especially within the pc gaming community. @MightyKrypto you want graphical power you get a pc........ you want great games and gameplay you can't get anywhere else you go nintendo, It's that simple ....... if you want to get a console to brag about graphical power even though there's more power out there you go ps4 or xboxone. Each to their own all I know is if a guy is bragging about the size of his junk he is probably not packing much. @MightyKrypto - Well 'm a gamer and Nintendo is always my first choice. Even if I was the only person in the world doing this you would be wrong to make that assumption. But I think it's safe to say I'm not the only person who has a Nintendo as their first choice of consoles and that a Nintendo is their only choice of consoles. We don't all buy every console out there. And what about the 55million ish 3DS owners? Do they all own a Sony/Xbox/PC combo as well, and make the 3DS their third choice? @MightyKrypto I see where your coming from I just disagree but then again I am a gamer who owns a Wii u and no ps4 or Xbox one as of yet. In terms of how you explained it there it may be the third choice but if somebody has bought a console already then that puts nintendo in the position of either been the first choice of console just bought or now the second..... I suppose the scenario changes based on what situation the customer is in. If it were me in possession of that nice piece of gaming history, I'd have sold it on eBay in a heartbeat! This is NOT a PlayStation. 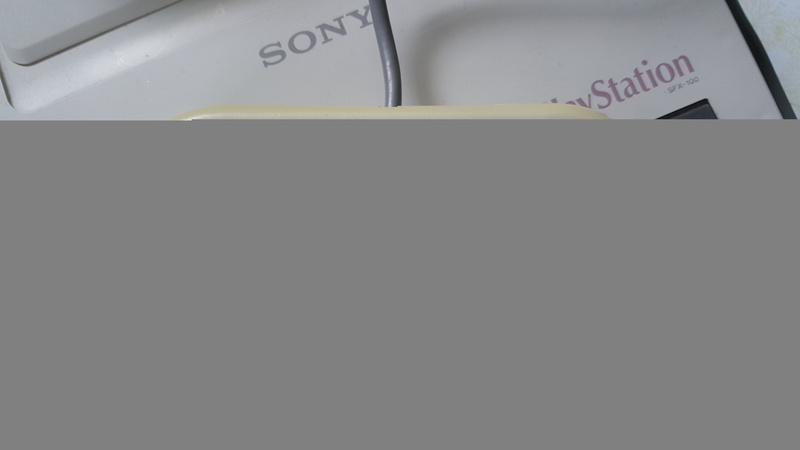 That PlayStation was commercially released in 1995, and had nothing to do with Nintendo. 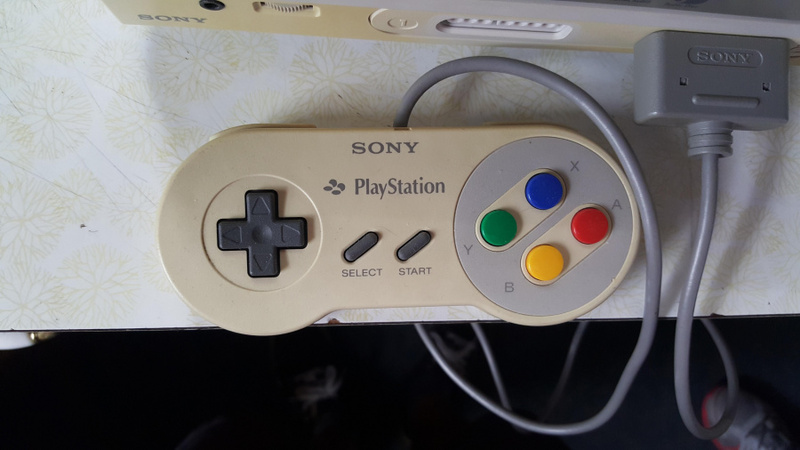 This console in question is "Play Station", with an actual space in between both words! Why don't a lot of people know that? History is always written by the victor but it doesn't make it true. For those that were around at the time and didn't read the made up version that's on Wikipedia or the web, you will need to do some real reading from magazines like CVG, EGM who were around in that era. What most sites don't report is that Sony electronics was the Samsung of its day. Sony did then what Samsung does today, evaluate your technology and then duplicate it with features you might or might not need. This is how the Playstation console was born. If Nintendo had continued to work with Sony, then Sony would have to grounds to hijack their system or worse force Nintendo out of the hardware business. Back then Sony were a cash rich Giant. @StarDust4Ever Not necessarily. Sony wanted to have full licensing control over any games released on the CD attachment, which would have left Nintendo out the loop for potential revenue plus would actually have to pay Sony to have their own games on the system. @megamanlink being an older gamer myself I already knew that hence the reason I'm not jumping on the (worst nintendo decision ever) bandwagon in actual fact it was one of their very best. EDIT hahaha just read the comment above me see what I mean. @MightyKrypto Yeah, Xbox One sure sells like hot cakes in Europe and Japan, lol. @scamander it does great in europe! Not 'PS4'-numbers great, but still great. Yeah, people seem to think Nintendo bailed out just because. There were legitimate business reasons, like Sony wanting to essentially take over the business. The way Nintendo acted was still not classy at all though. I used to think Nintendo screwed up by pulling out of this deal but I have since changed my mind and actually think that it was better for them not to have gone forward. Firstly it is important to note that Sony wanted to have full licensing control over any games released on the CD attachment, which would have left Nintendo out the loop for potential revenue plus would actually have to pay Sony to have their own games on the system. Nintendo would have made a loss for sure if they had gone ahead. Also I would guarantee that Sony were always planning to use this as a platform to break into the home console market in one way or another, most likely releasing their own dedicated console as they actually did. So once again Nintendo would likely have found themselves in the position they are today, perhaps they would have been even worse off who knows. I looked at that controller, and the Twilight Zone theme started playing. Now I want someone to develop a machine that can cross timelines. 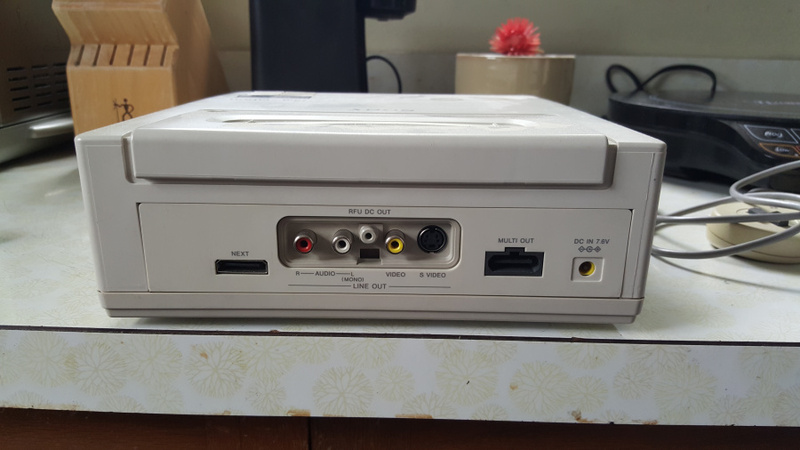 For all we know, in another timeline, this was the console that bombed, Sega is currently developing games for the Dreamcast 3, and Microsoft stayed on PCs. Or maybe it was a wild success, and people are playing Super Playstation Bros Allstars on their PS U. You could argue that it wasn't Nintendo who back-stabbed Sony, more the other way around. Sony wanted a (rather large) cut of every game sold on it and Nintendo weren't prepared to give all their earnings to some huge company. The deal would have surely ruined Nintendo. @Wii-1 Nah, that's not why, although sony WAS really like that back then. They were brutally underhanded competitors at the time, sorta like microsoft uhh.... ATTEMPTS to be now. It was good that this deal broke apart. Nintendo would have been swallowed up. Think about the general audience that the PS3/PS4 and Wii/WiiU appeal to. It is mostly mature gamers vs. younger gamers. It is obvious that there are more mature gamers than younger gamers so development would have shifted toward your GTA and CoD, etc. vs. Mario, DK, etc. I think Zelda and Metroid would still be around but much darker and probably not as good. Just look at how many kid games series there are for Playstation. Little Big Planet comes to mind but there is not much else. Ppl say that Nintendo is on a downward spiral, but I don't think Nintendo will ever die. My 'die-hard gamer' games are on my PC. Our family games are on the Wii and Wii U and of course I have my share of M rated games for the Wii U as well. And just because people think that Nintendo is mostly for kids, Mario games can get quite challenging. I haven't really used the brake in Mario Kart games until the 200cc came out if MK8. Zelda games have always been great action RPGs and Xenoblade Chronicles are just awesome (keep them coming Nintendo). Nintendo is not going anywhere even if they don't gain back 3rd party game developers with the NX. They have more well-known exclusives than any other systems and they are showing that they can bring in other appealing exclusives like Bayonetta and Splatoon (for once a FPS where you're not trying to get as many headshots or flying body parts as you can). They might not be on par with Sony and MS but they do take away potential revenue from them and I think Sony and MS are grateful for that. They get to keep their Last of Us and Halo. They don't have the base to appeal to younger and family gaming. With out Nintendo, there would be a vacancy that could be fulfilled by the likes of Google. They could come in with their Android based system and have a powerful console but players can take their games with them on the road with their phones or tablets. That I think it what Nintendo is trying to gear their NX system toward but they have to make a powerfull central console. There is of course the Steam Machines with an immense library and the ability for players to buy systems of various power and even build their own Steam Machines. Buying or building a Steam Machine that matches the specs of the PS4 or XBone is not that expensive and can be much cheaper a year or two after a console's release. There is also the modability that PC gamers have enjoyed. MS is seeing that and responding with their modability the announced at E3. Most of the games I meet in college have either a pc, XBOne our PS4 and a Wii U. The PC and Wii U combo seems to be the most prevalent. I have a Wii U and PS4. We'll never know for sure how this would have turned out. Sony's Playstation dramatically grew the demographics for gamers with a bunch of brand new game types and IP. We have no idea if the same would have been true for a Nintendo Playstation. As a gamer that has no loyalty to any single brand, this screw up by Nintendo is probably the best thing to ever happen to the games industry. It created real competition that led to drastically different game types. I don't see how anyone could say Sony back-stabbed Nintendo. Nintendo agreed to terms and then went back on them in a very unprofessional manner. If Sony's terms were unreasonable, Nintendo should have carried on negotiating, not accepting them and then letting them work on plan, before revealing they were going back on the contract with a public announcement. @MightyKrypto I really hope you stopped typing after awhile. You never, ever, EVER make the blatant assumption that Nintendo's the last choice any gamer would make. A lot of the 360 dudebros were duped into buying a PS4 because of Microsoft's missteps when the XBO was announced. Now it's hardly more than a turd-party machine as Activision, EA and Ubisoft have dominated the platforms while Sony and MS barely make any games of their own. Off the top of my head I can name at least half a dozen games Nintendo has made exclusively for the Wii U since its launch. They can afford to make that many. You can't say the same for Sony and MS, however. They're barely breaking even from hardware sales. Just look at what's been released for the PS4 and XBO since launch. If Nintendo really was every gamers' last choice, they'd have bit the dust a long time ago. Hell, five years ago I'd have told you I didn't care for Nintendo. I played mostly on my 360 and PS3 back then. I only bought the Wii to play Twilight Princess and Skyward Sword. When I discovered that the original creator of Final Fantasy was making a game for the Wii, I was ecstatic. The Last Story was one of the most impressive RPGs I've ever played. Any gamer worth their pixels would get a Wii U and not even bother with this console war nonsense. I didn't care for it then, but I just root for the underdog this time around. Nintendo's double cross that ultimately led them to give rise to Sony kicking their butts in the gaming industry since 1995, honestly this was Nintendo's biggest mistake ever. That aside, it's really cool to see a actually prototype of the PlayStation add on! It gives the most variety. I can enjoy Nintendo's games on their platform, and most of the other ones on my PC. A lot of developers are slowly supporting PC now (Square Enix, for example), and PC is the only true place for RTSes. @hYdeks At this point you're acting like a Sony fanboy (which make me question why you joined Nintendo Life in the first place sense you been saying Nintendo doom Sony for life since you joined) by not even consider why Nintendo "doubled-crossed" Sony. The reason why Nintendo "doubled-crossed" SOny because they was trying to take the SNES away from them. Sony used hardware on that they patented that Nintendo didn't know about till later. That would have mean that Nintendo would to pay to Sony to sell their games and Sony could claimed the game if they wanted to. That basically means Sony plan was to take the SNES from Nintendo. If Nintendo didn't drop that deal, Nintendo would have been as dead as Sega (at least during the Dreamcast era) at that point. That could have also mean that Sony wouldn't have made the Playstation you know and love, so before you make a stupid claim like that at least check up on your history. Also do you hate options? Be thankfully that you still have a choice of 3 great systems in the first place. Who knows what gaming would have turned into if Nintendo agreed with that deal. I would have loved to find out if the Sega Genesis/32x/CD combo would have been pwned by the SNES/PlayStation combo. I'd love to see an alternate timeline where Nintendo stuck with the PlayStation instead of the CD-i. What an amazing find. The proof that parallel universes exist!! It's straight from another world where things might have developed in a different directions. They made a sequel to the NES Bigfoot game on the SNES Playstation?! This was hardly Nintendo's biggest mistake ever. I still say it was as simple as not using CDs for N64. Use CDs, SquareSoft releases FF VII on N64 and PlayStation never takes off, or at least not like it did. I don't think I'd still be gaming though, so I'm glad things played out how they did. I was wondering what the NEXT port is. Wasn't the console called "The Play Station" only to be renamed "Playstation" when Sony went solo? @Chaoz It did raise the question of why it didn't all yellow. Thanks for posting this. Thanks @megalink I am tired of "journalists", including Nintendo ones, still painting Nintendo as the villain while it was Sony who pretty f****ed up and Nintendo just defended themselves. Anyway, this is an amazing finding. But I guess it would be succesful seeing how many CD-ROM add-ons failed. @abe_hikura : And the final name and logo on a prototype? Nintendo calls it prototypes by another name until way late into develoent (Ultra 64, dolphin, project cafe). So I'll remain a bit skeptical....but interesting story nonetheless. I would love to own that thing, a piece of history there. @Chaoz #79 I think you've been 'faked'. 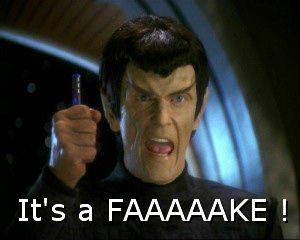 Or, it's the best fake I've seen. I wanna see it boot up! @AlexOlney Right?! It's like the Inception of names. Pics, or it didn't- oh. Bit lame that he hasn't specified if he's managed to power it on or not though. @MitchVogel lol. I believe that I read that Icelandic phone books also list occupation because so many people have same/similar names. If this is real, than this will be a major piece of video gaming history. It's amazing to see what could have been if the original Sony/Nintendo deal had come to fruition. Would Nintendo have continued to be the top tier of gaming? Microsoft has said on several occasions that their main reason for producing the Xbox was to block Sony from taking over the console space. But if the Playstation existed exclusively under the Nintendo brand, than both consoles could have never existed. Wait, what was that about the snes going yellow? Mine is still grey and purple. @Sobtanian @Chaoz Guys, did you even bother to read the context of that tweet? The person in question is a famous modder responding to a news article which jokingly said that this was one of their creations. The tweet was a humourous reply. @megamanlink Are there any online texts that discuss this? (About Sony charging 3rd-parties for using the DSP in a certain way). Of course I read it. I didn't really see any humour in the tweet tbh. Out of interest, if this is the real deal, why is the top half so pristine, compared to the yellow bottom half? @Sobtanian The smiley face on the Tweet was a bit of a giveaway! We've already spoken about this on Twitter, but different plastics change colour at different rates. You often see SNES consoles with yellow AND grey plastic. @BarryDunne Has already been added to the news item. Thanks for the heads up, though! @Damo Just see that now! No prob dude! But seriously, if I were him, I'd probably donate it to a tech museum or smoething. @gamermole There's a special Buy 2 get 1 free special offer at Gamestop which includes hardware. It looks like the most popular choice for arranging the 3 consoles for that deal is PS4, PS4 and PS4. @Damo Oh, I didn't see the sarcasm in it. My mistake, I'm terrible with sarcasm. Nintendo would basically be printing money like in that GIF if they teamed up with sony. Nice, I'd love to see what would have happened if these products were sold commercially. @TeeJay If they went with Sony's deal, Nintendo would be Sony's puppet with them telling Nintendo what to do. Even if they personally told them to cancel the deal, it would somehow end up like this. @Artwark Yeah you're right, I've seen that since I posted the comment. If Nintendo hadn't done something quick, Sony would have eaten them alive. Great BACK lighting in that video! @MightyKrypto I always ve'been a nintendo fan because they do the best games to me and I own all of the sony systems and even a 360 slim, so nintendo is to me the fist choice!! At the time, I would have told Nintendo to swallow their pride and let Sony have their little time in the spotlight by plastering their name on a secondary Nintendo console. Strategically, it only would have helped Nintendo, due to the law of auxillary systems and peripherals having a limited audience. Sony could have their dabbling without becoming a big competitor. In hindsight, I don't know what the right decision would have been. We saw hundreds of classics developed between the PS1 and PS2... Who knows if the N64 would have given them a fair shake, or if Sega (of America) would have behaved more sanely without Sony as a primary competitor. 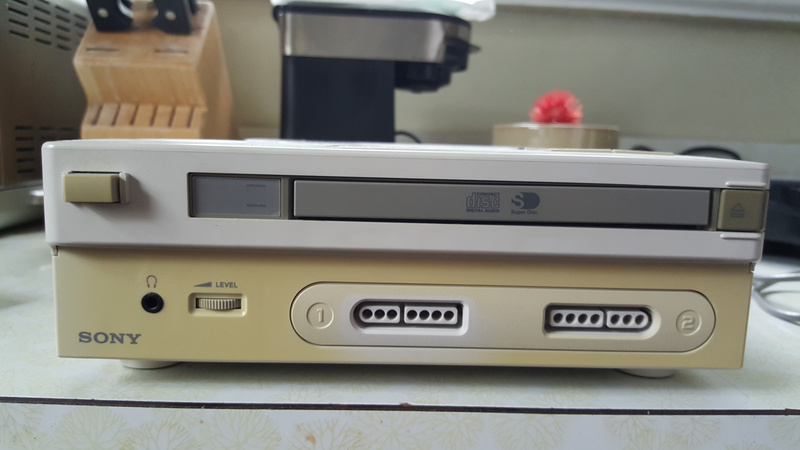 The yellowing on old beige and gray colored hardware from the 80s and 90s (including the SNES) is due to the aging and breakdown of a particular bromine compound (a toxic chemical which mixes with plastics, especially ABS, to impart flame retardant properties) when exposed to oxygen and UV light over time. (The console can be restored back to it's original shiny state using a solvent solution to clean/dissolve the bromine, though!) It is just one in a series of environmentally destructive compounds used in electronics manufacturing. This is why you don't throw your game consoles in the trash, unless you want to contaminate your water supply! The video would be far more convincing if he'd boot it up. "...give rise to Sony kicking their butts in the gaming industry since 1995, honestly this was Nintendo's biggest mistake ever." Nintendo has sold over 450 million consoles since 1995. I'm sure they don't regret anything. Of all the parallel universes, ours is one of Nintendo's favourites. @gamermole @MightyKrypto This is what I did: I bought the Wii U first, because it was released first. I bought the PS4 because it came out second. Then I bought the XB1 because it came out third... That's just how I roll. I don't like missing things on one system that I can't get on the other, though to be fair, I'm not a normal consumer either. And if we HAVE to mention PC, I got a powerful gaming rig as well, but I never game on it because I hate PC gaming, but I just like having in the event I want to. @Grumblevolcano learn your history before you say stupid things like that. Sony wasnt far from commanding nintendo to surrender all the rights to its IP library for free as the design came closer to being finalized. Google it. Sony was completely out of their minds with a lot of the stuff they were asking for. Beyond that, even with the wiiu's complete failure, nintendo has still made 100 times more gaming profit than sony since 2002. Nintendo's lawyers didn't exactly miss that clause. Reportedly, Sony added the part about them owning the rights to any and all IP developed for the CD format after the initial deal was made, among other things. Nintendo actually did double cross Sony, but in all reality, they double crossed the double crosser. Its likely the reason they made the deal with Philips first was to ensure the deal was a sure thing beforehand. The backstab came when they announced it publicly before informing Sony. That had to be out of spite. Even if they didn't piss off Sony though, there's a good chance they would have made the Playstation anyway. They wouldn't want to waste all that R&D, and they chose to partner with Nintendo in the first place because gaming was proven to be very profitable. @MightyKrypto ...or they could've found themselves in Sega's position by launching and supporting an expensive add-on to an aging console instead of eventually putting their full effort into what we now know as the Nintendo 64. Guys don't forget there was an important twist in the SNES CD story. around 1993 developers started to get fed up with the whole fiasco as it was starting to seem that there would be too many different CD game formats to make games for and they got Nintendo, Sony and Phillips to work out a new agreement that would make life easier for third parties. And they came to an agreement that would give Nintendo the licensing fees for games, Sony would get the licensing for educational software and Phillips would still get to make their $#itty CDi mario and zelda games and the three of them would work together to make the SNES CD and SNES CD games were to be compatible on CDi. 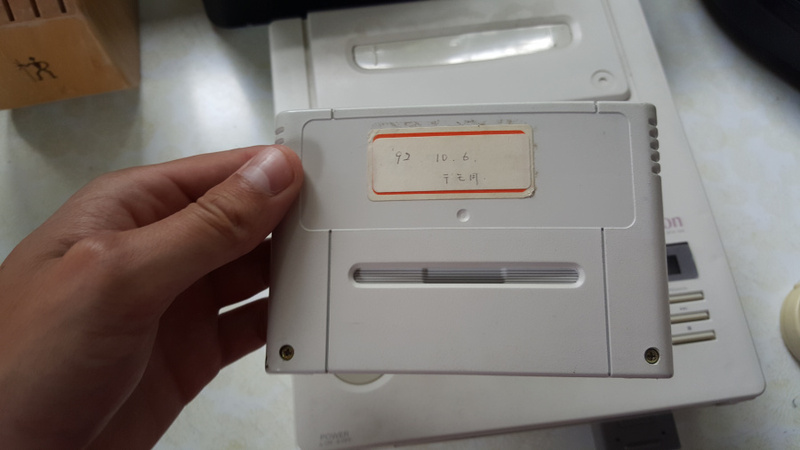 However by this point Nintendo had lost interest in CD games after the poor sales of the Mega CD and CDi as well as other expensive CD consoles at the time and their Super FX chip delayed the SNES CD further because Sony and Phillips had to revise the SNES CD to make it able to work with the Super FX chip. 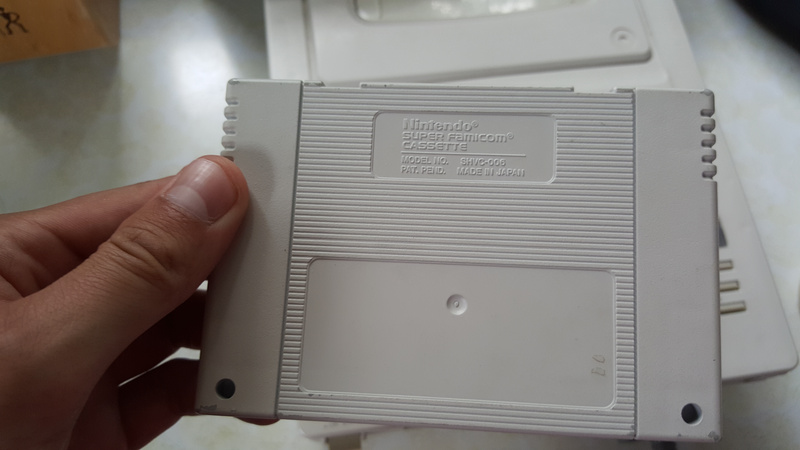 I think that with the benefit of hindsight Nintendo's mistake here was to prevent the SNES CD from seeing the light of day. If anything they should have allowed Sony and Philips to get the SNES into the market ASAP. If it succeeded it could have meant extra revenue as Nintendo had wrestled back their control of licensing fees from games. However if it had failed it would have likely scared Sony out of wanting to get into the home console business. Achieving that would have been hugely beneficial for Nintendo as it would have prevented the creation of their fiercest rival. And without the original playstation to disrupt the market Nintendo's banner men would not have betrayed them as they would have feared paying the iron price. I really wish I knew the specific terms of the contract between sony and nintendo because I've heard sony got very greedy and that's why nintendo cut ties but it's all speculation. @theBluntKnight It's so funny though how Nintendo did a 180 and stuck with difficult to pirate cartridges for N64. The N64 really is fun to collect for because of the carts, even if it was a poor move in retrospect. Also I love the zero load times. @StarDust4Ever Amen to that. Sticking with cartridges helped to motivate once loyal third parties to switch allegiances to playstation paticularly Squaresoft with FFVII. However the flipside as you've noted are way faster load times and N64 games are more collectable than playstation games (overall). In fact Nintendo's games seem to be generally more collectable than playstation games across all generations. I believe this has something to do with Nintendo's efforts to thwart software pirates - just a theory. Is that the real prototype or just some home made replica system?